I rarely buy makeup at this point in my beauty blogging career. Aside from the review products I get for this site, I also have this (stupid) belief that I've found the bestest best makeup I can possibly use for my face. My mind is already fixated on NARS for blushes and foundation, MAC or Urban Decay for eyeliners and eyeshadows, L'Oreal or Majolica Majorca for mascaras. But who am I kidding! There are so many other great finds out there, and like Bianca Valerio said (met her yesterday! Starstruck! ), you don't really need to spend a lot to be beautiful. But let me clear that up. There are certain expensive brands I like, and I like them because I can rely on them. If I run out and if I can afford them, I don't see why I shouldn't buy again. It's that simple. Buy what works if you can afford it - quality, not cost, should be the issue. So. 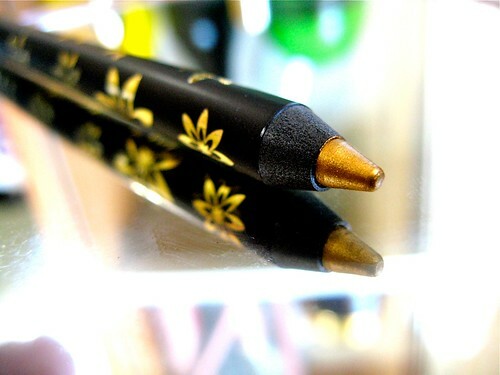 One thing that works amazingly well is the In2It Waterproof Gel Eyeliner. The quality is similar to Urban Decay and MAC and better yet, it only costs P380! That's a steal considering how good this eyeliner is. Goes on like butter! It's like applying the Urban Decay 24/7 liners or even the MAC Fluidline. Swear. 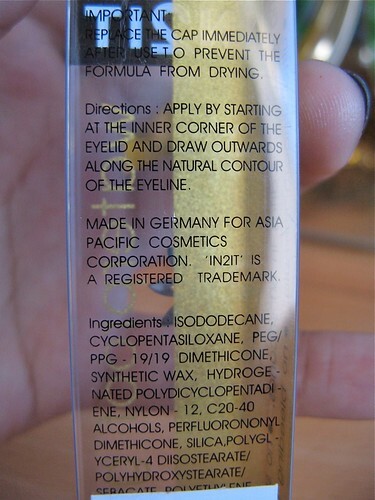 Dries quickly, as a liquid eyeliner would. 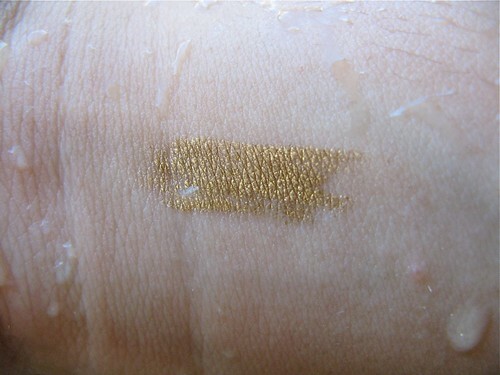 The color I got, Aztec Gold, is a gorgeous warm gold shade. It's very flattering on my eyes. I sometimes even use it as an impromptu cream eyeshadow on my lid! It's that creamy. Nicely packaged, doesn't feel cheap. Easy to sharpen. The black rubbery wood (?) gives easily. You get a lot of product for the price. It's only P380 in Watsons. Uhm. I had to think hard about this so I can say something here. What I don't like about this product? Nothing. It's perfect. Ran it under water, then rubbed it. You can see some teeny parts rubbed off, but the liner stayed true. If you've always wanted to try MAC or UD but you don't want to spend, the In2It Waterproof Gel Eyeliner is a close substitute. It has the same quality as these expensive brands without the price tag. I highly recommend this! 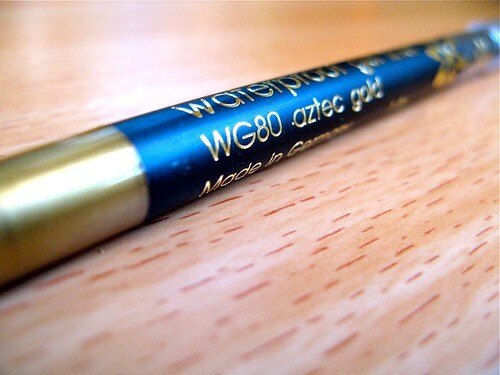 I got Aztec Gold because I was looking for colored liner at that time. 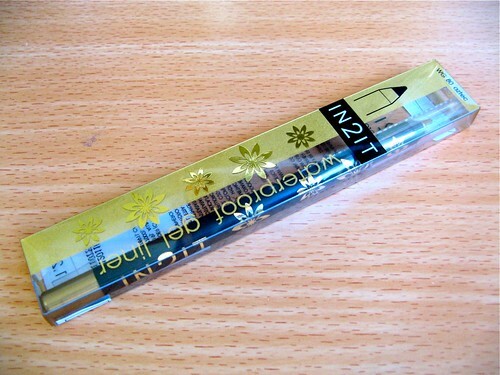 This In2It liner was the best in the drugstore beauty aisles - not once did I regret buying it. 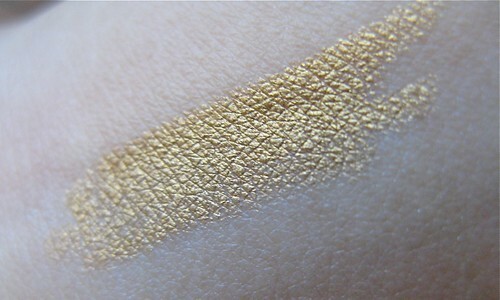 I don't like using it as an upper lid eyeliner per se; it doesn't look much from afar because the gold doesn't stand out on my skin. 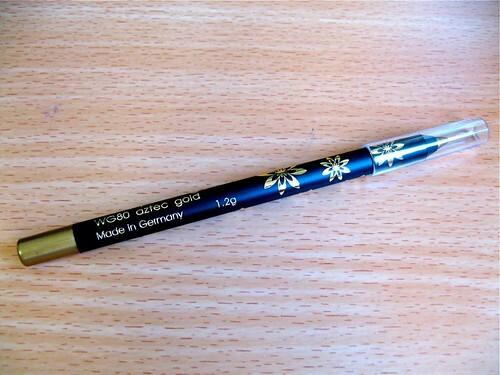 I use it mostly as an eyeliner for my waterline or as a cream eyeshadow. So far though, my favorite way to use it is to line it on top of a brown eyeliner like the UD 24/7 in Bourbon. Love the effect. I'll show you some time! Tried this yet? What do you think?